Are you tired of paying heavy monthly pays to your IT staff? Are you sick and tired of paying heavy monthly pays to your IT staff? 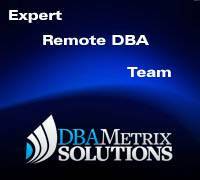 Dbametrix introduces high quality Remote DBA services at very low cost. Today's business world is otherwise dependent on remote services. Then why to hire IT professionals for heavy pays? 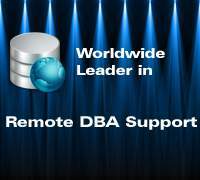 Dbametrix offers various kinds of remote DBA support and remote DBA services plans. You can opt for standard plans or flexible support plans that can be customized according to your requirements. All our plans are highly cost-effective and yet offer expert remote Oracle DBA support services that meet the highest industry standards. Dbametrix offers high quality of remote database service at very low rate. Various types of remote DBA services, plans and packages. Remote database services using phone, email, chatting and ticketing etc. Different fixed price plans and customizable tariff plans available. 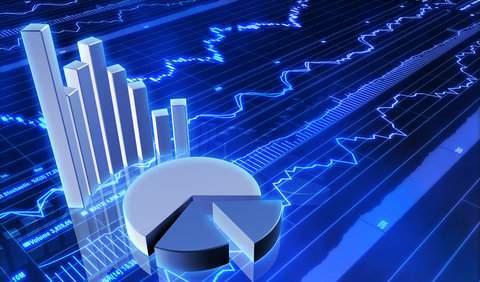 Guaranteed high quality rather matchless quality database services. Dbametrix keeps its customers or clients at top priority, therefore very crisp and clear service level agreement (SLA) are being offered by us. Following are the salient features of our SLA. We have a lot of expertise in developing a strong, yet easy to understand, SLA for covering every requirement of our clients. Through the SLA, we provide you guaranteed resolution of critical issues, database availability, optimum database performance and fast response times. Our SLA based remote DBA support adheres to such high standards that it has quickly become a benchmark for the industry. Strong SLA which covers every requirement of our customers. Sections of SLA, allow you to resolve critical issues. It ensures high availability of database services. Ensures high database performance & scalability. SLA guarantees quick remote DBA service and other database services. Comprehensive and complete service level agreement makes you feel. Secure and Assures provision highest and quickest possible service. Response time based SLA ET Remote DBA plans. Response time based SLA ETR Remote DBA plans. Customizable remote DBA support Remote DBA plans. Single Incident Remote DBA support services. 9/5 SLA ET Support: Available for 9 hours a day and 5 days a week. 9/7 SLA ET Support: This support category is available for 9 hours a day throughout the week. 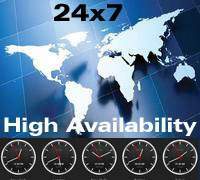 24/7 Remote DBA Support: Available round the clock throughout the year. All these categories of SLA ET plans are available to everyone irrespective of size of your database and number of instances.ET remote DBA support service covers Oracle RAC databases too. 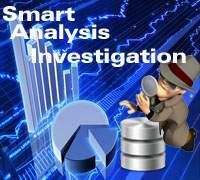 Remote database monitoring is available in same ET remote dba plans. In a critical situation, we offer FREE remote login access or telephonic support or high priority chat support with every ET remote DBA plan. All above mentioned categories are response time based, which is as quick as 30 minutes and maximum time to respond is 2 hours and 30 minutes. Minimum of cost of SLA ET plan is 5$ per day, which is as low as no one else's. This is just a partial list of features of our SLA ET Plans. Remote access to your database from anywhere in the world. Monthly review of security related issues. It includes all features of SLA ET plan. 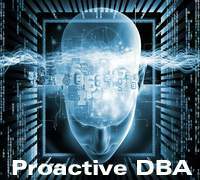 Immediate response time based remote dba plan available. Though, our above mentioned plans have been very deliberately chalked out, however, it is not possible to cover requirements of every client in those packages. Therefore, Dbametrix offers you a unique customizable remote DBA services, database monitoring & Oracle database support. You are at liberty to choose response time and other related details within your own budget. It also proves our customer loyalty. It is in your hand to adjust according to your needs. Aim is to achieve your satisfaction level in all terms. 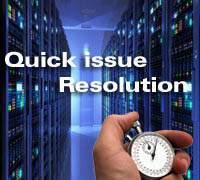 Dbametrix offers single incident remote services for Oracle troubleshooting, resolution of mysterious ORA errors, Disaster recovery of database, Oracle tuning, Data corruption. For quoting single incident resolution of Remote assistance, kindly contact us with technical specification and issue. Do you want to check your database health? Or do you have any query? Just click the Contact Us for our free database health checkup & consultation support. Our prompt action and high quality support will automatically indicate you our proficiency and efficiency level. Contact our sales department with your requirements and SLA for getting cost effective quote and remote dba plans including of different types of database support.